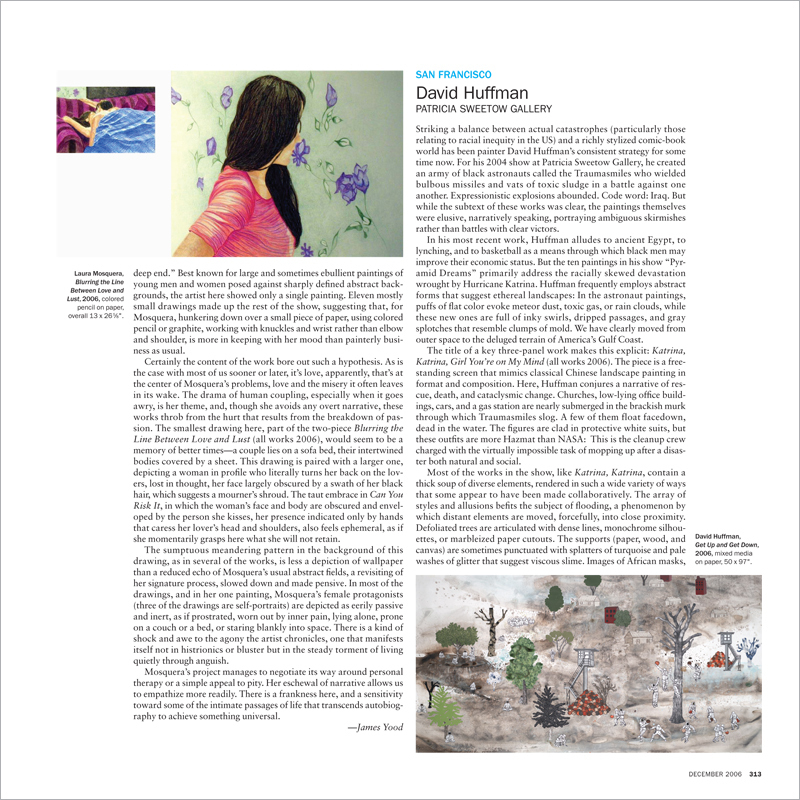 Striking a balance between actual catastrophes (particularly those relating to racial inequity in the US) and a richly stylized comic-book world has been painter David Huffman’s consistent strategy for some time now. For his 2004 show at Patricia Sweetow Gallery, he created an army of black astronauts called the Traumasmiles who wielded bulbous missiles and vats of toxic sludge in a battle against one another. Expressionistic explosions abounded. Code word: Iraq. But while the subtext of these works was clear, the paintings themselves were elusive, narratively speaking, portraying ambiguous skirmishes rather than battles with clear victors.